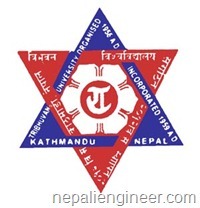 At the time when there used to be only one university in Nepal, only one institute,Institute of Engineering (IOE), offered bachelor course in engineering. After other universities were allowed to operate, a number of other private institutes started producing engineers. Now, IOE offers affiliation to a number of other institutes to offer engineering courses under it’s curriculum of Tribhuvan University. Similarly there are a number of other institutes affiliated to other universities as well. More details on the institutes affiliated to IOE can be obtained from IOE website. More details on the institutes affiliated to Pokhara University can be obtained from the the university website. 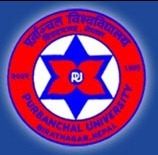 The details on the institutes affiliated to Purbanchal University is not available in the university website. So, the list above is unofficial and might not be complete. Apart from the universities mentioned above, Council for Technical Education and Vocational Training (CTEVT) offers 36 months diploma courses in various engineering fields. The students seeking entry to these diploma courses only need to pass the 10th standard in school. A CTEVT diploma holder is usually eligible to pursue a bachelor degree in the related field in the institutes affiliated to universities mentioned above. This entry was posted in Education and tagged Institute of Engineering, Kathmandu University, Pokhara Univeristy, Purbanchal Univeristy, Tribhuvan Univeristy. Bookmark the permalink. information is not good, list of college are unsufficient.